We’ve heard quite a lot about the Cyanogenmod-powered OnePlus One smartphone in the past few weeks. We do know that the smartphone will launch later this year, possibly in the second quarter. 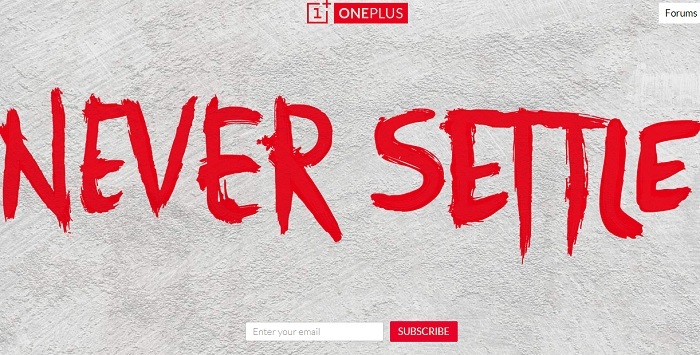 Now, we have some more details about the upcoming OnePlus One smartphone. According to a new post on OnePlus forums, the handset will come with a 3,100 mAh non-removable battery. The addition of a non-removable battery may surprise a few folks out there, but OnePlus’s Pete Lau gave the reasons for opting for a non-removable battery. He said in the post that it was a big challenge to opt for a battery that can last also a day with normal usage so the users don’t have to take precautionary measures like reducing the battery, disabling services, etc. to extend the battery time. As far as other specifications are concerned, the company has already announced it will come with a quad-core Snapdragon 800 chipset under the hood. Other features include 3GB of RAM, Cyanogenmod 11 which is based on the latest Android 4.4 KitKat and 16/64GB storage options. Additionally, the company mentioned it will release the kernel sources and stock images on the launch day, which should come as a good news for those who like to tinker with their devices. We’ll update you as soon as more information pops up.